Whether you are an educator looking to UP the fun factor for your PE lessons, or a coach looking to improve the fitness and performance of your charges, this course will meet and even exceed your expectations! Please download the Course Agreement and Indemnity Form too. 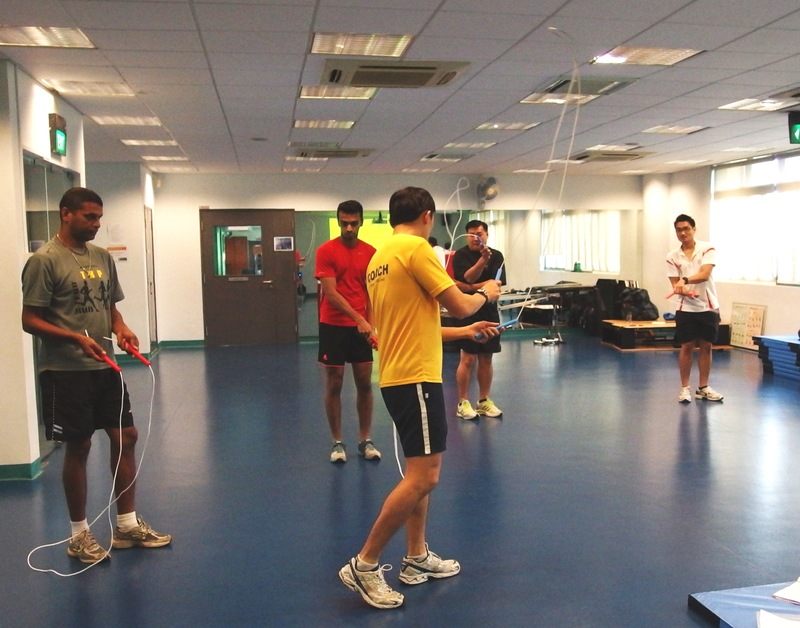 This programme is specially designed for educators, sports coaches and fitness trainers. A certificate of completion will be awarded to participants upon completion of the workshop. This is a full day course with six modules to be completed. For more than 20 years, Hansen has been actively involved with the sport, fitness and education industry. He began his journey as an athlete, subsequently as a Physical Education teacher and lecturer, and over the last six years as a sport and psychology coach to school and elite athletes in Singapore. Due to his vast experience, Hansen has a distinctive way of explaining sport knowledge in simple words and applying them in real life situations. 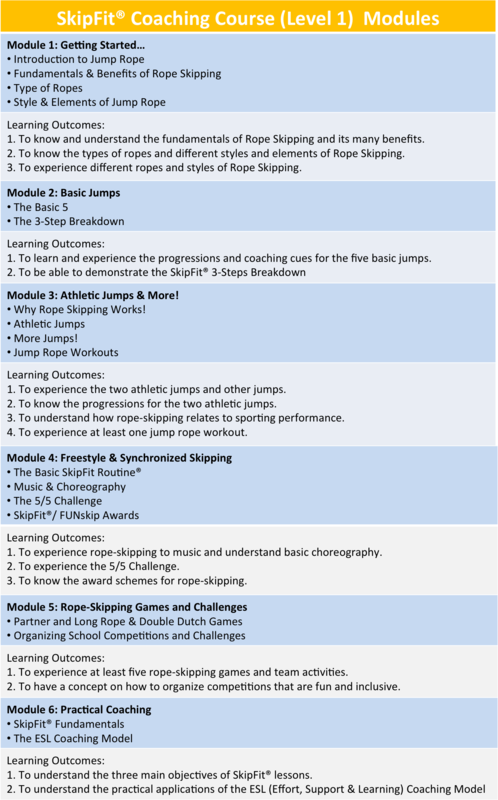 Hansen is the creator of The SkipFit® System – a unique and systematic synchronized skipping programme – where basic rope-skipping skills are taught progressively to the beat of music phrases. This system is endorsed by the Sports Education Programme in Singapore and has been showcased at both local and overseas physical education conferences. 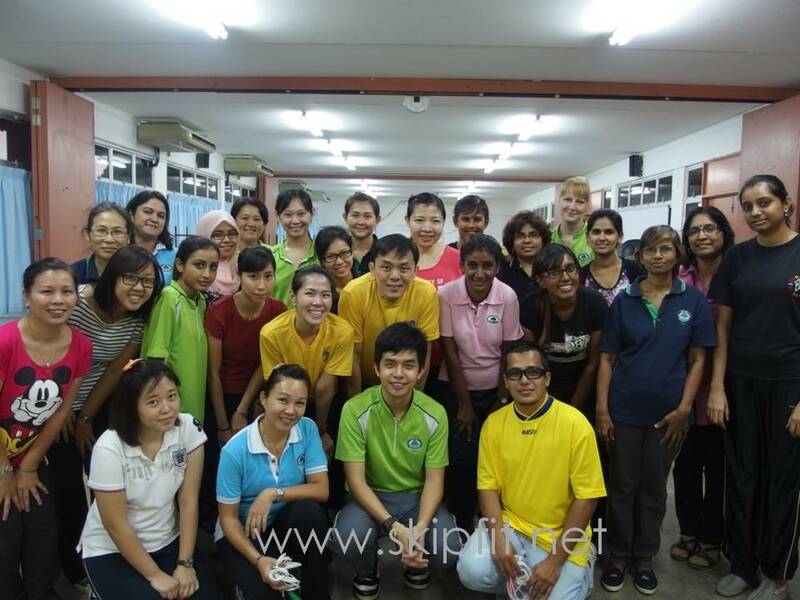 Since its launch in 2008, more than 30,000 school children have learnt skipping the SkipFit Way. Hansen is also the author of The SkipFit® System – An instructional guide and DVD for Physical Education teachers, and Let’s Jump! Your Personal Guide to Rope-Skipping. Here is a video of some activities you can expect during the course. Participants should have at least one year experience working with students. The organizers reserve the right to refuse any participants from signing up for the course. 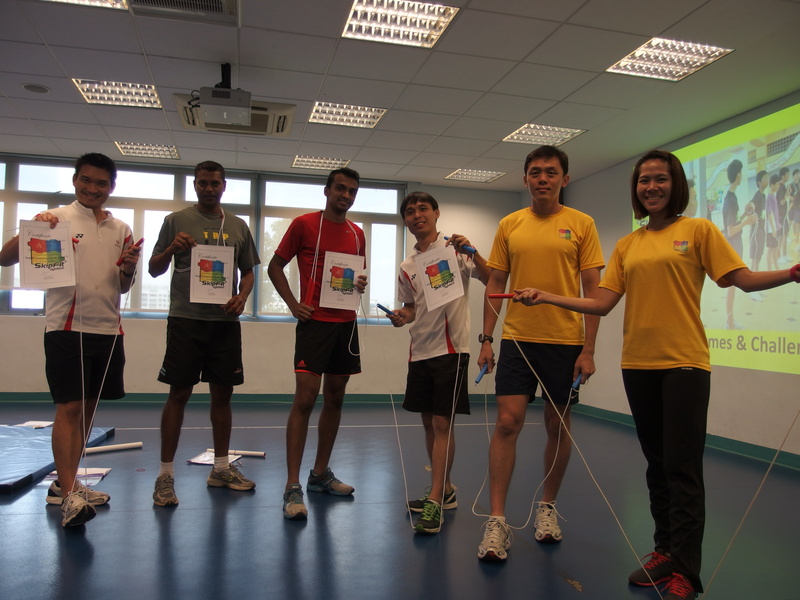 For more information about the next course, contact team@athlete.sg or call 9384 3142.